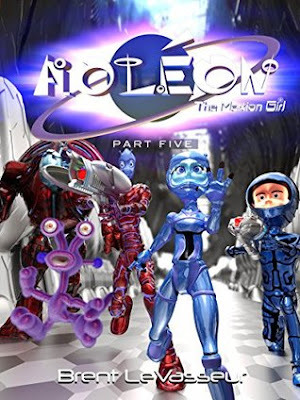 Description: Aoléon, Gilbert, Bizwat, Helios, and Zoot make it to their final destination - Cydonia where Aoléon’s parents are being held captive. They infiltrate a secret underground base and are confronted by a small army of sentrybots. They finally meet Pax - the Martian who originally set them out on the mission to discover the truth about the Luminon and his plans to invade Earth. However Pax is not who he seems to be, and through a turn of events, they uncover the true power behind all that has been happening on Mars. Will they be able to rescue Aoléon’s parents and save Earth from invasion? 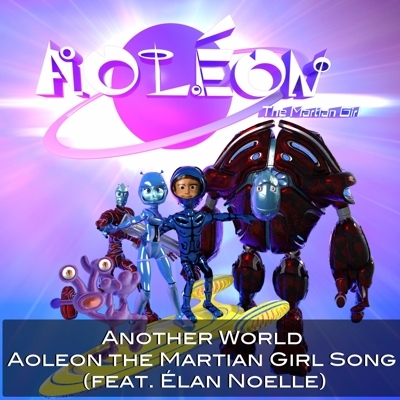 Join Aoleon and Gilbert in the conclusion to this exciting middle-grade science fiction and fantasy adventure! My Review: This final installment is action packed adventure. This unlikely group amazingly makes it to where Aoleon's parents are being held and they discover secrets that really shake them. What I enjoyed the most about this conclusion is the way a reader is drawn in. What young boy (or girl for that matter) doesn't dream of being the hero in a galactic battle? Since Gilbert is such an average kid, it's easy to put oneself in his shoes and to dream about being the one Earthling that is lucky enough to venture on this ambitious quest. I know a few kids who would love to switch places with him. I liked the twist and thought it really added to the story. I definitely didn't see it coming! The battle descriptions were a lot of fun and there wasn't anything graphic. My favorite quote: "Kid, warfare is the art of deception. You never fight fair. You fight to win." and fight they did! This is a great series for kids, especially kids with vivid imaginations. I've mentioned this with every review, but the graphics really are amazing--vivid colors and imaginative descriptions through images. I love to see which parts will be illustrated and love studying each picture. They also draw a reader into the story quite well. This has been a fun series. I love the way it ended and felt satisfied. If you or someone you know is a science fiction lover (think Star Wars on a kid level), be sure to pick up these books.